In this section we will try to help you, with some commun issus and doubts during a game installation. You can allways send us an email or make a comment on the game page, asking for Help. 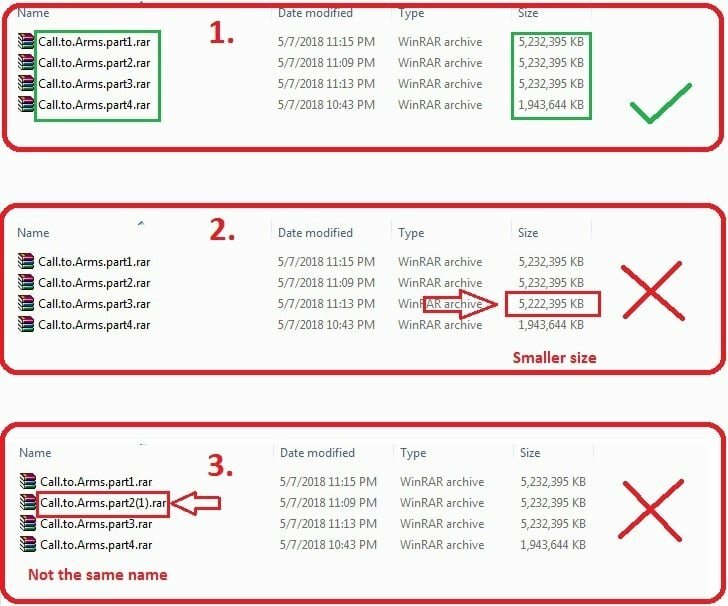 To solve this problem, you should re-download the file which is smaller in size and rename the file (if its name is different from the rest). Always be sure not to use too much bandwidth while downloading games, the downloaded file may be damaged if your internet connection is not good enough. Is this game safe? Does it contain viruses or trojans? It’s false positive. The method used to crack games is similar to the method used to code malware! Anti-virus programs will detect the crack as a virus and delete it, even though it isn’t! If the game take you to Steam site or requires a CD key, that means the game has not yet been cracked, you need to crack it before starting the game, you can see instructions on how to use the crack here: How to install a game or update? 5. Turn off Antivirus programs as well as Firewalls. Why isn’t the game saving? – Try run the .exe file with “Run as Administrator”. – If the above steps don’t solve the problem, try turning off the Antivirus program as well as the Firewall, then extract / reinstall the game. Try running the game with “Run as Administrator” again. Where can I download WinRAR and Daemon Tool?